Oerlikon Textile will be exhibiting at ITMA ASIA 2010 in Shanghai on its 750-m2-plus stand C 51/C 52 in hall 2 from 22 to 26 June 2010. Highlights of the five brands under the umbrella of the textile machinery manufacturer include the new Autoconer X5 winding machine, a new FDY technology and the Era embroidery machine. Their technological innovations illustrate the general slogan under which Oerlikon Textile is appearing at the show: Innovation remains the key to success. From polymer through to the textured package, the Remscheid-based world market leader in spinning and texturing of manmade yarns offers future-oriented technology for the quality- and cost-conscious yarn manufacturer. In the market for Fully Drawn Yarn (FDY), an innovative new FDY technology promises top yarn quality with significantly reduced conversion costs at the same time. Alongside this, multi-end system concepts for industrial yarn will also be making headlines: made-to-measure spinning plant components interacting with the quenching unit, godets and winder generate consistently high yarn quality for fine industrial yarns of up to 660 dtex (LDI) and coarse filaments of up to 6600 dtex per bobbin (HDI). In the case of DTY (Draw Textured Yarn), Oerlikon Barmag is showing new features for the eFK texturing machine and inviting guests to participate in daily tours to Oerlikon Textile’s biggest and most modern production plant in Suzhou. All machine cross-sections currently available can be viewed there. 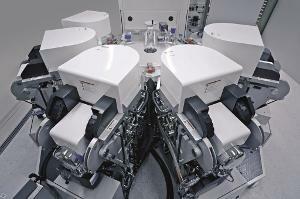 The highlight will be a production run on a 288-position eFK machine kitted out with the latest options. This presentation can also be followed live via video link on the exhibition stand. The market and innovation leader in ring and rotor spinning and winding will be presenting interesting new products for all areas of the staple fibre yarn industry. In rotor spinning, the new generation of the successful BD line offers many features designed to win the customer over. With up to 416 spinning units, the new BD-416 is a byword for higher productivity and is the longest and yet most compact machine in its class. In ring spinning, the new Zinser 351 Impact FX promises the optimum compact quality on up to 1,680 spindles per machine. The separately adjustable compact vacuum and the self-cleaning compact unit guarantee a consistent, uniform yarn quality with 100% compact characteristics. A low cleaning and maintenance requirement enhances the economic efficiency of the system. In winding technology, the new Autoconer X5 will set the standard for ITMA Asia as a whole, with new solutions and performance features that take account of current trends and the spotlight on greater automation and extensive flexibility. Other new features are geared to quality, productivity and resource consumption with maximum performance. With a market share of over 65 percent, Oerlikon Neumag is the leading supplier of modern BCF carpet yarn machines such as the S3, S5 or Sytec One. It offers the broadest product portfolio in the market. One focus at the show will be on advanced processes and applications like polyester or spun-dyed automotive solutions. In the field of synthetic staple fibre production, production lines are available with capacities of up to 300 tonnes per day for commodities and state-of-the-art solutions for special applications such as construction reinforcement, geotextiles, automotive applications, artificial leather or hygiene nonwovens and spiral crimp fibres for fibrefill. Other items on the show programme include all key processes in nonwovens manufacture. 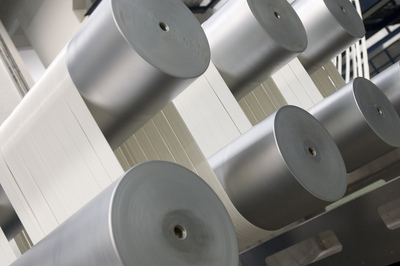 Forming the highlight in carding technology will be a series of optimizations of the complete carding process from bale opening to winding for applications like filtration, geotextiles, roofing, automotive headliners or sound insulation. The brand new generation of the Stylus needle loom machine will also be on show. This permits conventional and elliptical needling on one machine. With regard to spunbond and meltblown solutions, Oerlikon Neumag will present multi-beam lines for the production of hygiene and medical nonwovens as well as the meltblown standalone system for a wide variety of high-grade meltblown fabrics for modern filtration and barrier media. The momentum is with Oerlikon Saurer in the embroidery segment. The Saurer product line has positioned the second generation of the Saurer Epoca 05 extremely successfully in the market as the most modern, most efficient shuttle embroidering machine with unique options such as the removable soutache and sequin system as well as laser technology. Now comes the Saurer Era with a host of new features for ITMA Asia 2010. The embroidery machine is the optimum production vehicle for design sampling and small orders. It is equal to every demand for high-quality embroidery and its designs can also be reproduced on all Saurer embroidery machines. The product lines being exhibited in the twisting segment are Allma and Volkmann, leading suppliers of two-for-one twisting and cabling machines for tyre cord, industrial plied yarns, all staple fibre yarns, carpet yarns and glass filament yarns. The Volkmann FT two-for-one twisting machine offers a persuasive and exemplary price-performance ratio, new quality and performance standards and very low energy consumption thanks to its new e-save spindles. The Allma TCS meets the multi-faceted requirements of the industrial yarn market with a broad count range from 235 to 45000 dtex, delivery speeds of up to 350 m/min and extremely simple operation. With precision winding for plied packages of a high density and superb downstream processing properties, it is synonymous with new standards in efficiency, safety and operator-friendliness. The specialist in premium components for filament and staple fibre spinning brings new solutions in the Accotex and Texparts product lines for the rational processing of staple fibre yarns. Accotex® J-465 Cot provides flexible answers to rapidly changing market requirements, while Texparts® Zero Underwinding offers protection against yarn loops on the spindle whirl. One highlight is the latest generation of the proven, leading Fibrevision® Fraytec systems as an online monitoring system for technical filament yarns. Daytex, Heberlein and Temco, all specialists in processing synthetic continuous filaments, will be presenting solutions for a wide range of jobs. For example, the Heberlein® FibreJet for tasks from migration to intermingling of POY yarns, the Temco® Twist Stopper for stabilizing the texturing process and the Temco Separator Rollers for guiding and deflecting yarns and continuous materials. Another exhibit is a nip roller that combines Daytex® cots and Temco® bearings, achieving optimum cost efficiency. Oerlikon (SIX: OERL) is a leading hightech industrial group specializing in machine and plant engineering. The company is a provider of innovative industrial solutions and cuttingedge technologies for textile manufacturing, thinfilm coating, drive, vacuum, solar energy systems and advanced nanotechnology. A Swiss company with a tradition going back 150 years, Oerlikon is a global player with around 16,000 employees at 157 locations in 36 countries and sales of CHF 2.9 billion in 2009. The Company invests more than CHF 200 million annually in R&D, with over 1 200 specialists working on future products and services. The operative businesses rank either first or second in their respective global markets.